National Standards Association of Ireland, N.S.A.I. Booth Concrete Ltd. was established in 1993 by Peter & Pat Booth. 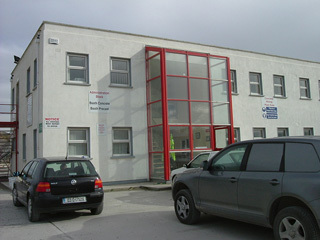 Since 1993, the Company has produced high quality concrete products for the construction industry throughout Ireland. In 1996 it established Booth Precast Ltd. which manufactures insulated Concrete Flooring, Precast Chimney Systems along with many other Precast Concrete Products for the national market. The ethos of the Company has always been “to provide a top quality product at a fair price and to deliver on time”. The success of the Company has been evident in the growth over the period since 1993. Today Irish architects, construction engineers, building contractors and project managers rely on Booth Concrete and Booth Precast for the highest quality precast and concrete products to help them bring their projects to completion. The Company understands that maintaining outstanding levels of product quality must be its objective at all times. Booth Concrete use only the very best raw materials in all its products and the company has set up its own in-house testing facilities to ensure full compliance with EN206 standards and the N.S.A.I. quality assurance scheme.